In my last post I mentioned an upcoming photo safari. 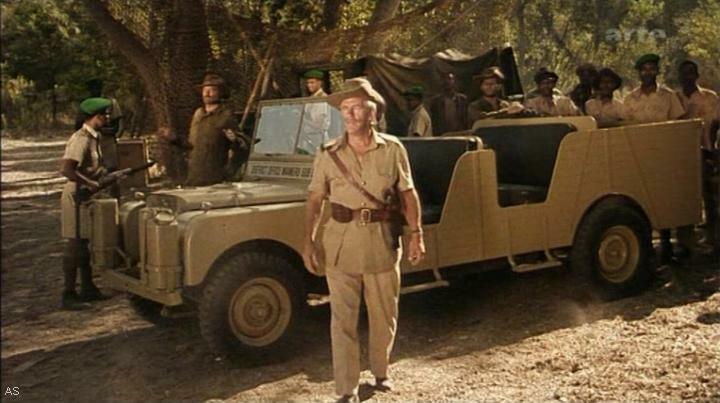 (Anytime you’re driving a classic Land-Rover it’s a safari!) I’ll fly to Denver. Catch a regional light rail to a Park-n-Ride, then hike to a motel where I’ll meet up with Bill, my partner in Land-Rover/photo atrocities for 18 years. From there we’ll drive—slowly—to the Grand Canyon, stopping to take photos and add oil along the way. After that we’re off to Vegas to catch Penn & Teller and keep the party goin’ until my return flight the next day. EZ-PZ. What could go wrong? I believe in the Pack Light, Go Fast mantra. I won’t be lugging a MacBook along with me; The iPad will provide entertainment, communication and information while serving as my photo bank and digital darkroom. I thought others would be interested in my workflow for backing up, editing and sharing my photos from the road. I use micro four thirds cameras and my iPhone 5S to capture images. I’ll write more about the MFT gear in an upcoming post. First I’m going to outline the iPhone, iPad and the apps that I use. I’ve been an iPad user from day one and was soon convinced that I would use the device as a laptop replacement. I’ve always outfitted myself with the top of the line iPad—maximizing the memory allows ample room for photos, videos, books, comics, and music. My current iPad Air is the 128GB-Verizon version. I choose the the cellular equipped models even though I don’t turn on mobile data very often. $24.95/night for wifi? No thanks. Oh, the promised free wifi isn’t working tonight? No worries. Either way, I’ll provide my own. If I don’t use it? Then like ketchup in a French restaurant, it’s just nice to know its’ there. Besides, I do use the GPS—only available on the cellular equipped models—for mapping and navigation. My iPad is protected by a rooCASE Origami. I carry an eCase waterproof envelope in case of wet weather or extreme dust. I’m considering a Pelican Progear vault for adventure travel, but I don’t think I’ll be getting it in time for this trip. An Anker 5-port USB charger provides a single-Plug source for charging iPad, iPhone, Jawbone Jambox Bluetooth speaker and other USB devices. For redundancy and field use there’s an Apple iPad charger and a Griffin car charger in my ruck. On this particular journey, the Land-Rover has been equipped with several USB ports for charging on-the-move. I bring along an Apple Wireless Keyboard that travels in a Casemate Origami case. The keyboard generally stays back in camp during the day. It won’t go into my EDC ruck unless my plan includes an all-night writing bender in a local tavern. I often (though not on this trip) carry an AirPort Express to extend and bridge networks and an AppleTV to stream my own content to a TV screen. That’s the basic set up. I’ll outline my backup workflow in the next installment, Images in the bank.